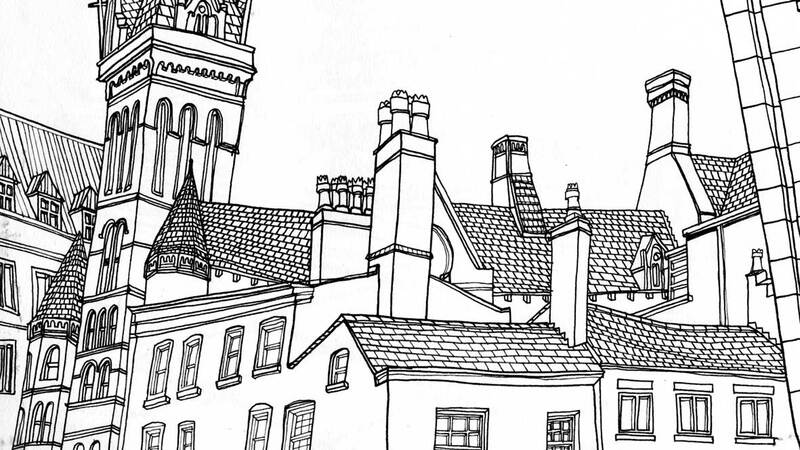 I’m also going to start on a bigger drawing of Manchester City Centre – at the same scale but to encompass more. I’ve been scouting around trying to take pictures from the tops of car parks but have so far been politely asked to remove myself from each one as I might hurt myself or something similar (?!). So remember everyone – taking a picture is MUCH more dangerous than parking your car. Seriously though – apparently I need to get permission from the owners first. I’ll let you know how I get on!